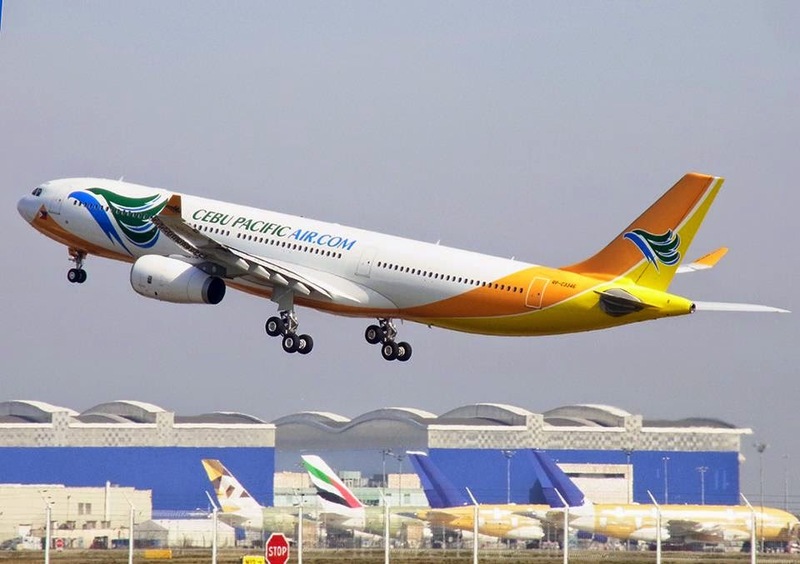 Aviation Updates Philippines - The Philippines' largest low-cost carrier, Cebu Pacific Air, plans to fly to Doha, Qatar starting June 4, 2015. Cebu Pacific will be the only Philippine carrier flying between these two cities, serving more Global Filipinos in the Middle East, it said. Cebu Pacific's newest Airbus A330-300, RP-C3346, taking-off at Toulouse Airport. Cebu Pacific will operate its newest Airbus A330-300 to Doha, which was delivered in Manila on March 10, 2015. Hot meals, seats with extra legroom and Wi-Fi onboard, among others, are options that can be added to the fare, the carrier said. It now operates a fleet of 6 Airbus A330-300 aircraft, completing its delivery. In addition to this, Cebu Pacific currently offers its introductory Manila-Doha fares start at PHP888, for sale until March 16, 2015 or until seats last. The seat sale fare, which is the cost of approximately five movie tickets, may be used for travel from June 4 to December 31, 2015. "We are excited to offer Cebu Pacific's trademark low fares to travelers in Doha, especially since we are the only low-cost carrier operating this route. With our expanding network, Qatar becomes more accessible from the Philippines, and the Filipino community can reunite with their families more often," Cebu Pacific Air General Manager for Long-Haul Division, Alex Reyes said in a press release. Excluding Doha, Cebu Pacific currently operates long-haul flights to Dubai, and Riyadh using its 436-seat Airbus A330-300 aircraft. However, the carrier will terminate its Dammam route starting March 29, 2015 due to low passenger demand. The carrier's new destination will serve over 260,000 Filipinos in Qatar, based on Philippine Overseas Employment Administration 2009 stock estimates. Qatar has the third-largest Filipino community in the Middle East. "It is CEB's priority to maintain a strong presence in the region, where we are able to reach a large population of Filipino communities," Reyes added.